Becky Chalmers, Wetland Ecologist for VT Agency of Natural Resources, will lead a family-oriented walking program. Read more here. 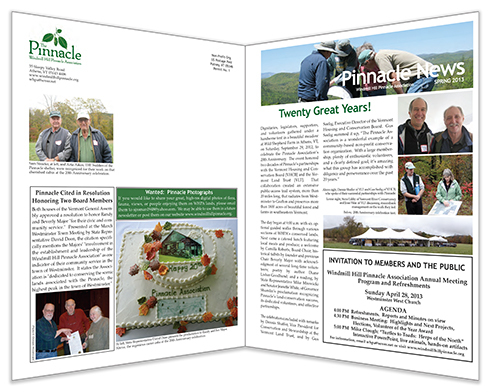 Click the links below to see a pdf version of recent newsletters. Starting in Spring 2015, we now e-mail our newsletter to all members for whom we have an email address. If you haven’t already done so, please send your email address to whpa@sover.net so you can be sure of receiving your next copy. Thank you for helping us update our database files and save time, money, and trees! To receive our newsletters, become a member! A LIFETIME membership is only $35.00 — click here to download our membership form.